RedCritter allows teachers to recognize student learning successes as they happen, as fast as possible and with minimal effort. Our tablet apps are great for this, but our mobile apps make it even more convenient. 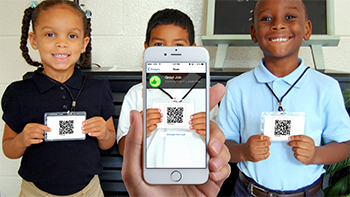 Our mobile apps leverage NFC and QR codes to allow teachers to distribute badges, skill points, reward points and more with a single tap. NFC stands for Near Field Communications. A complicated term to describe a near magical capability. 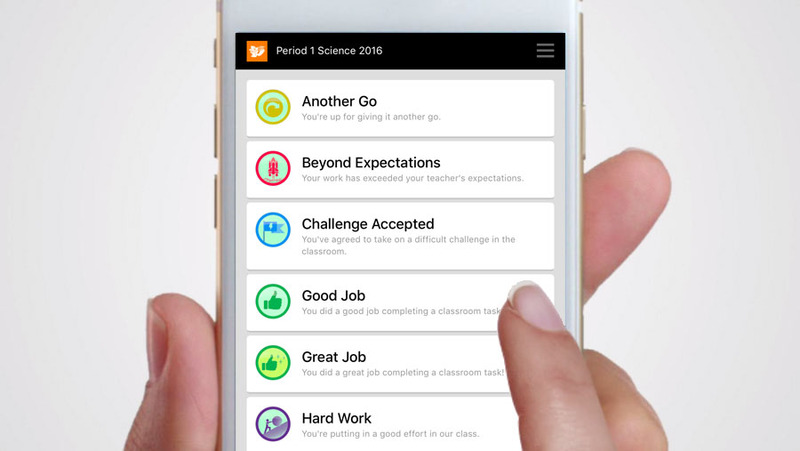 RedCritter Teacher uses NFC to allow you to simply tap your phone to any student's Achievement Band or desk to instantly award badges, skill points, reward points and more. QR stands for quick response. QR codes are square barcodes and you’ve probably seen them everywhere. RedCritter Teacher apps allow you to scan these codes to instantly award badges, skill points, reward points and more. Should you use QR Codes or NFC? If you have Windows Phone 8 or Android with NFC, you can choose to use either NFC or QR codes. Also consider QR codes are free, all you need is a printer. Our Achievement Wearables, Bubbles and Stickers do have a low per unit cost, some less than a dollar. If you have an iPhone you will use QR codes since iPhones don’t yet support NFC. Give each student their own personal QR Code. Student QR codes can be carried by the student and will work in all their classes that use RedCritter Teacher. Learn how to print and use student QR codes to award achievements in your classroom. Affix a QR code to each desk in your classroom. If you are using the seating chart feature you can print QR codes from RedCritter Teacher for each desk in your room. For Desk QR codes, simply print, laminate, and affix a QR code to every desk in your classroom, using your seating chart as a guide. 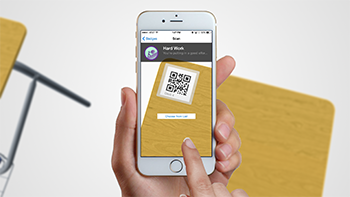 Learn how to use QR codes on desks to award achievements to students in your classroom. 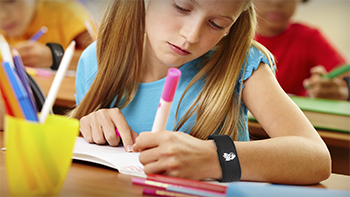 Give each student their own personal NFC Achievement Band. These can be carried by the student and will work in all their classes that use RedCritter Teacher. Learn how to program and use RedCritter Achievement Bands with your students in your classroom. Affix an NFC Achievement Bubble or Sticker to each desk in your classroom. 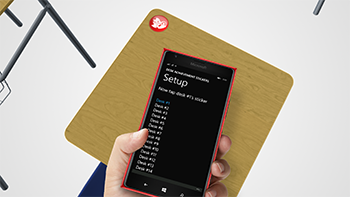 This will allow your to tap your phone to the desk to give out rewards to the student currently seated at the desk. Learn how to program and use RedCritter Achievement Bubbles and Stickers in your classroom. Cost is a factor to consider when using NFC. If you use Achievement Bands, you will need one for each of your students. If multiple teachers at your school are using RedCritter Teacher the Achievement Bands will work in all of the students’ classes. If you affix NFC devices to desks, every desk in every classroom that uses RedCritter Teacher will have its own Achievement Bubble or Sticker. With RedCritter Teacher we give you the tools to excite your students, showcase interactive technologies and enhance your curriculum with real-time digital recognition and rewards. There are many creative ways you could use NFC and QR codes in your class and you can also mix and match all of these techniques. We hope you find our mobile features fast and convenient.